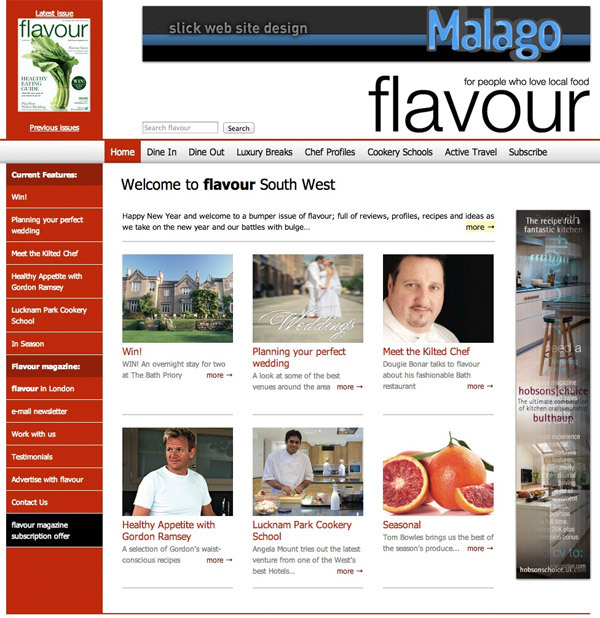 This is a website to accompany Flavour magazine which has two versions, one for Bristol and the South West, and the other for London. I designed, built and now maintain this website. We add a dozen articles every month, which really helps with Google ranking, especially as the content is well written and interesting. We get over 2,000 hits a month!